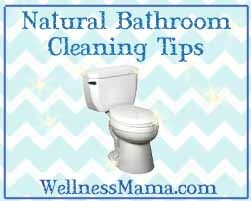 You are here: Home » Blog » Natural Home » Microfiber Cloths: Green Cleaning or Plastic Pollution? 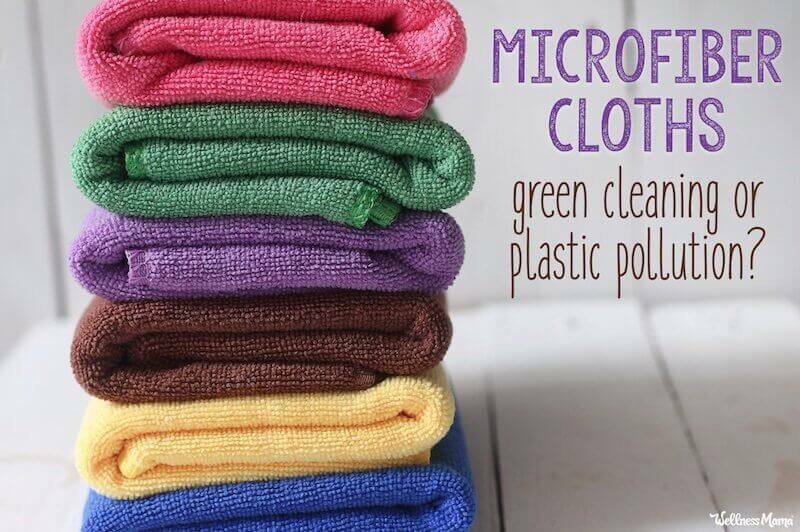 When I first switched to more natural and green cleaning products, microfiber cloths seemed like a panacea. They cleaned almost all surfaces with little or no additional products, were reusable, and seemed really sustainable. 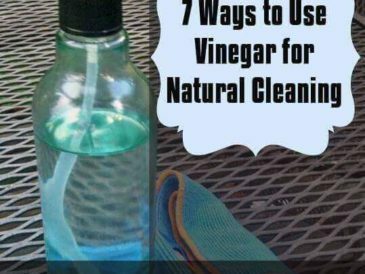 I found myself using them more and more and many sources recommended them as a natural cleaning alternative. From a no-waste perspective, they seem great! They’re reusable and pretty close to zero-waste if you take care of them. Fast forward almost a decade and science and technology have advanced, bringing up some potential concerns with microfiber. In this post, I tackle the updated research on microfiber and share what I’m using now. I often think of the quote from Maya Angelou that “When you know better, do better.” This post is an example of that progression for me. I should also mention here that while I’ve been anti-plastic for years, I can thank my 12-year-old for bringing this issue to my attention. He’s on a mission to end plastic pollution and I’m so proud of how dedicated he is. Generally speaking, the microfiber used in cleaning cloths is made from a combination of two synthetic polymers — polyester and polyamide (nylon). In the highest quality microfiber cloths, these fibers are approximately 1/100 of a human hair in diameter. This makes the fibers barely visible to the naked eye. The fibers are bundled together and spun into thread which is then woven into cloth. Some microfiber cleaning materials also have silver or other substances spun into them and claim to be antibacterial as a result. Unfortunately, while they may feel like cloth, microfiber is essentially made of plastic. Petroleum products are used to create plastic polymers that are spun into a cloth. On the one hand, this high-tech process produces a product that is really, really good at picking up dirt and dust. Unfortunately, recent research shines light on a dark side of microfiber as well… more on that below. When examined under magnification, an individual microfiber has a split or spoke-like appearance. The area between the spokes creates a larger surface on the fiber itself. When the individual fibers are joined together into thread, and then woven into cloth, the result is a product that has an amazing ability to pick up and trap dirt coupled with superior absorbency and scrubbing power. In comparison, a traditional fiber, such as a cotton fiber, is larger and smooth. Cloths made from these fibers require a cleaning agent (detergents, soaps and other chemical cleaners) to dissolve the dirt, which is then absorbed into the cloth in order to be removed from the surface. If dirt isn’t easily dissolved, it isn’t easily picked up and can be left behind. While the split fibers of the microfiber cloths are able to pick up and hold dirt, traditional fibers tend to push dirt and moisture around a surface. So essentially, if you want a cleaner surface, choose microfiber! Is Microfiber Bad for the Environment? The longer answer? We may not even fully know the extended impact of microfiber use yet. Emerging evidence shows that synthetic materials like microfiber cloths may release these tiny fibers into the water supply during washing. Scientists are finding tiny microfibers in our oceans and lakes and trace these back to our home washing machines. It turns out that a single piece of synthetic material may release thousands of fibers into the water supply in each wash! Yet when we talk about the potential environmental downfalls, we aren’t just referring to microfiber mops and cleaning towels. All synthetic material and clothing may have an environmental impact by releasing microfibers into the water supply. A few years ago, news outlets were abuzz with reports of how microbeads in beauty products were making their way into the water supply and harming ocean life. Microfibers belong to the same classification of microplastics as microbeads, and the new research in the last few years is shedding light on just how bad they are. While our oceans literally fill up with floating islands of plastic that are as big as the state of Texas, these tiny fibers may be much more problematic. Since they are so small, they can be more easily ingested by marine life. Over the long term, they make their way into our food supply in larger and larger amounts and cause problems for the ocean in the process. The materials used in microfiber towels and cleaning clothes are technically recyclable, but when woven into these types of materials they become non-recyclable microplastics. Not only that, they can contaminate the recycling process if we even try to recycle them. As my son has explained to me, in order for plastics to be recycled effectively, they have to be correctly sorted by type. Microplastics melt at a different temperature than other types. This early melt causes a clump and turns the entire batch of recycling plastic into an unusable clump that cannot be made into a new plastic. Sadly, this means that microfiber cleaning cloths are not the best environmental option but they aren’t the worst either. While I wouldn’t suggest buying new cleaning cloths or microfiber mops as a green choice, if you already have them, I wouldn’t throw out the baby with the bath water either. We can still use microfiber to effectively clean viruses and bacteria from surfaces. They are a more sustainable option than paper towels or single use disinfecting wipes and throwing them in a landfill is just going to create more waste. With any synthetic cloth, most microplastics are released in the washing machine. Personally, I’m trying to just use microfiber when I’m dealing with mirrors or light cleaning so they can be washed as infrequently as possible. The less I we wash them, the less we release into the water supply. Also, use cool or warm water instead of hot water when washing them, as higher temperatures seem to release more microplastics into the water. While I’m not buying any new microfiber cleaning products, I’m trying to use the ones I have as long and carefully as possibly since they can’t be recycled. I can’t turn back time and not buy them so I’m starting from here and reducing my impact going forward. Again, when we know better, we do better. I’ve also started using a special bag called a Guppy Friend to catch microplastics in the wash. I use this especially for microfiber products but also for any synthetic clothing. There is evidence that this step greatly reduces the amount of plastics that make their way from washing machine into water supply. I haven’t found any great options yet, but several companies are also working on special washing machine filters that would help filter out these plastics before they hit the water supply. I’m hopeful that increasing awareness about this problem will lead to continued innovation in filtration. Instead of buying any cloth for natural cleaning, reuse some that you if if possible. Things like old cotton t-shirts and socks make great cleaning rags. Old burp cloths and baby blankets also work and can be used as-is or cut into smaller pieces. Rather than pitching or donating natural fiber clothing like cotton, hemp, and wool, turn these into reusable cleaning cloths for your home. We now keep a hamper of these in our laundry room as use them as paper towels, cleaning rags, and to mop up spills. When they eventually become too worn out to use they can be used as natural weed block in the garden and will naturally break down over time. Many cleaning products contain some pretty toxic junk. Microfiber cleaning cloths do let us avoid many of these products and this is one reason for the surge in popularity. 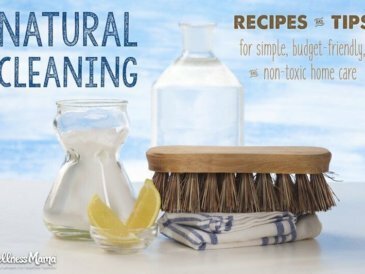 Thankfully, there are now some great natural cleaning alternatives that work just as well with lower environmental impact! I personally use Branch Basics for almost all cleaning in our home now. It’s a natural, biodegradable, non-GMO plant and mineral based cleaner. 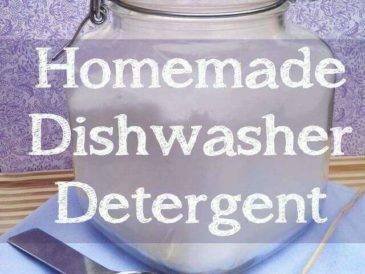 Use it to make all purpose cleaner, on laundry, to clean countertops and on almost any surface in your home. It’s so non-toxic and safe that it can be used as a baby wash and I even use it to remove eye makeup! Also, as a concentrate, it has a lower environmental impact. One bottle can last for months and months and leave only one recyclable bottle as a result. 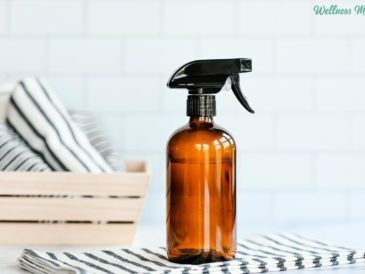 I recommend keeping some glass spray bottles on hand for mixing up various concentrations for natural cleaning. These types of cleaning cloths are not the green cleaning powerhouse we once thought they were. As we learn more about microplastics, we all have an obligation to prevent plastic pollution by using it sparingly and consciously. At the same time, if microfiber is already part of your cleaning routine, use them as long as possible to keep them out of the landfill and replace with better options when the time comes. How do you handle this in your home? Were you aware of the issues with microplastics? I’d love to hear your thoughts below!